Practically all of America is smitten with Olympic gold medalist Gabby Douglas and why the hell shouldn't we be? On the likability index, the tiny powerful gymnast is ranked somewhere between popping bubble wrap and puppy parties, so it makes sense that she's claimed our hearts and minds. While it goes without saying that Douglas is a natural talent, it's still important that we recognize the extraordinary support system that helped to get her to where she is today — mainly, her mother Natalie Hawkins, who, hearing her daughter's pleas for a better gymnastics coach, agreed to send her to live in Des Moines, Iowa where she could work with renowned trainer Liang Chow, and Missy Parton, the Iowa woman with whom Gabby has lived for the past two years. The two women, both having supported Douglas tremendously, have a wonderful bond. Says Hawkins to Parton, "I can't imagine her without [you] now because it really is like Mom 1 and Mom 2." 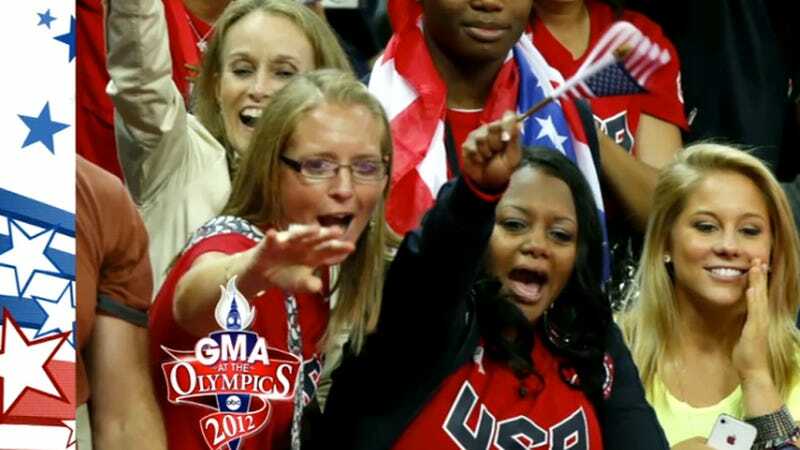 Seeing how much the mothers care for both Gabby and one another only makes Douglas' triumph in London all the more sweet.